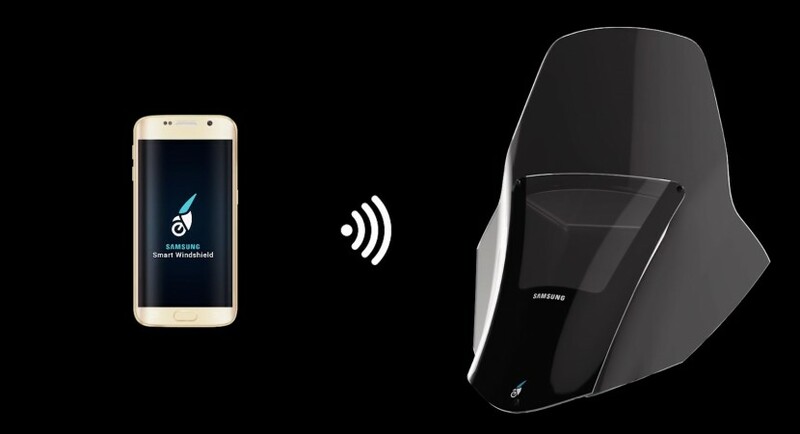 Samsung Smart Windshield: Guardian Angel Or Demon? Are you a motorcyclist? If you are, this story could be quite interesting for you: Samsung has unveiled a windshield that brings the useful information in front of your eyes. It’s so advanced, that it can connect with your smartphone! It’s a kind of head-up display, and uses a technology available and affordable. Therefore, it may take quite a short time until we’ll see it on the streets. It features a dedicated app to connect with the smartphone via Wi-Fi, allowing the rider to keep its both hands on the handlebar while riding. Because of these hands-free features, it is considered a safety gadget. It is capable to completely connect with the smartphone, allowing the visualization of maps, phone calls, messages and other notifications. 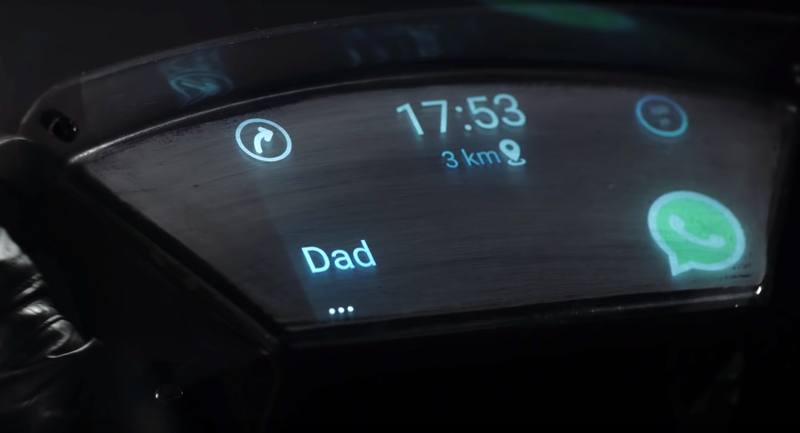 It isn’t the windshield itself that displays the data, but a small projector placed at the bottom of the surface. The graphics are very simple and intuitive, meaning they are easy to be interpreted. This is extremely important, because it allows the rider to read all the information with a short look and keep the eyes on the street as much as possible. He can then decide if he wants to stop and talk or answer from the Bluetooth headphone or even send an automatic answer back. 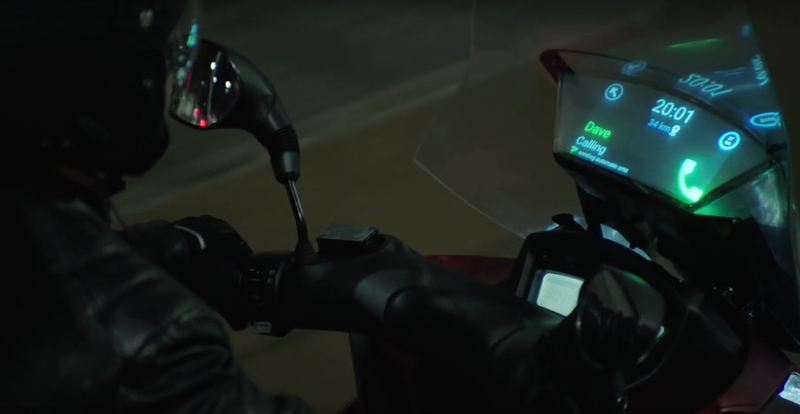 This isn’t the first smart display, but most of the previous ones were placed inside the helmet, not mounted on the bike. The big question is if this will help saving lives or will put the riders in an even greater danger, distracting their attention from the traffic.